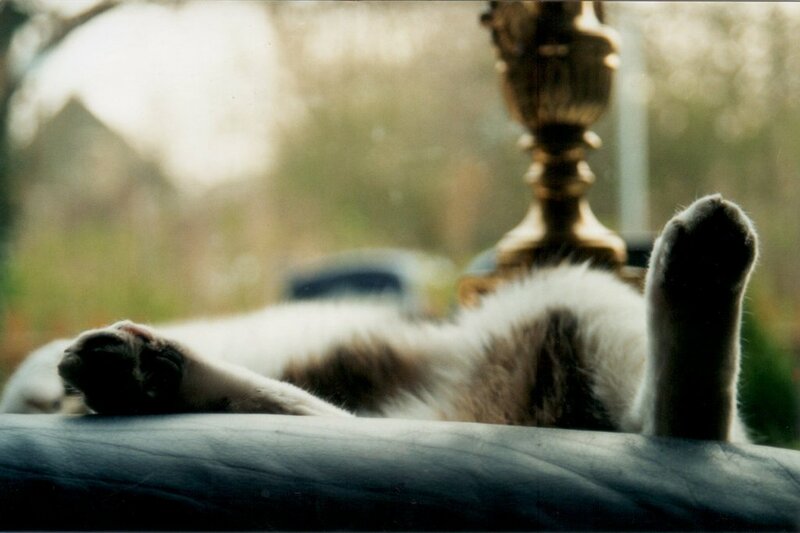 “sleeping cat” © pmin00o, 2001. CC BY-ND 2.0. Fever dreams without the sleep. Leave on my shoes, coat, and backpack. For hours I gasp for air. My husband gets home and helps me into bed. wake up regularly to reach out into the night. my feet into the curve of the back of his knees. It was a rough one, but I’m getting my footing again.